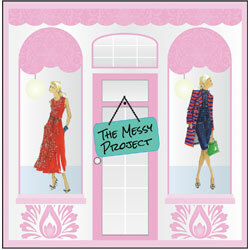 I am so excited to be a part of The Messy Project this month. I am a big fan and always look forward to seeing what the ladies do with the item that Kelly chooses every month. 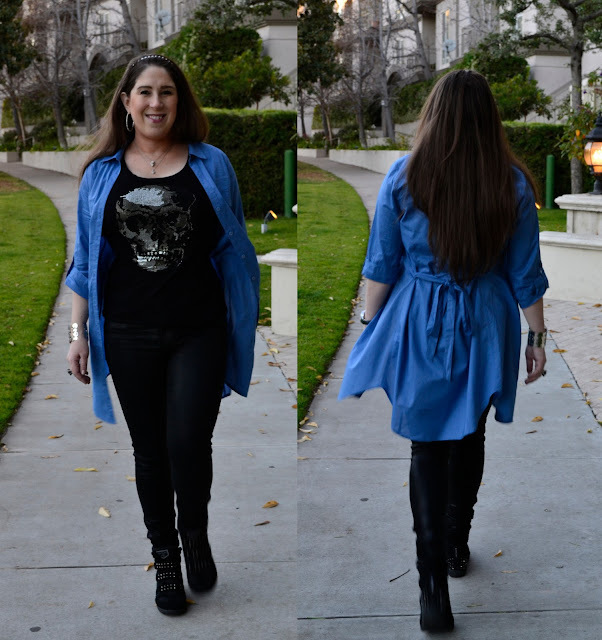 The shirt dress that Kelly chose this time is not something I would not normally wear, so it was fun to experiment with it. I'm only 5'2" and I usually don't wear longer tops because I feel they make me look shorter. I decided to wear the shirt dress open and give it a little rocker feel. 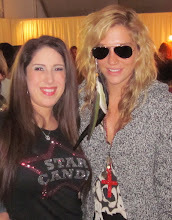 I paired it with a Star Candy Skull T-shirt, C of H Waxed Skinny Jeans and Skechers Spiked Sneaker Wedges. Since I decided to wear it open I thought it would be cute to tie a bow in the back and give the shirt more shape. I'm obsessed with sneaker wedges right now. These Skechers are so comfy, cute and stylish who could resist?! A quote from the genius creator, Kelly of Messy Dirty Hair, about The Messy Project. 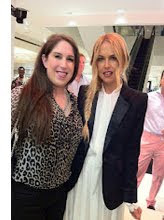 "I know from my personal styling experience that a lot of people have trouble styling certain items. They may look at a top & instantly think, "I can't wear that...what would I do with that?" 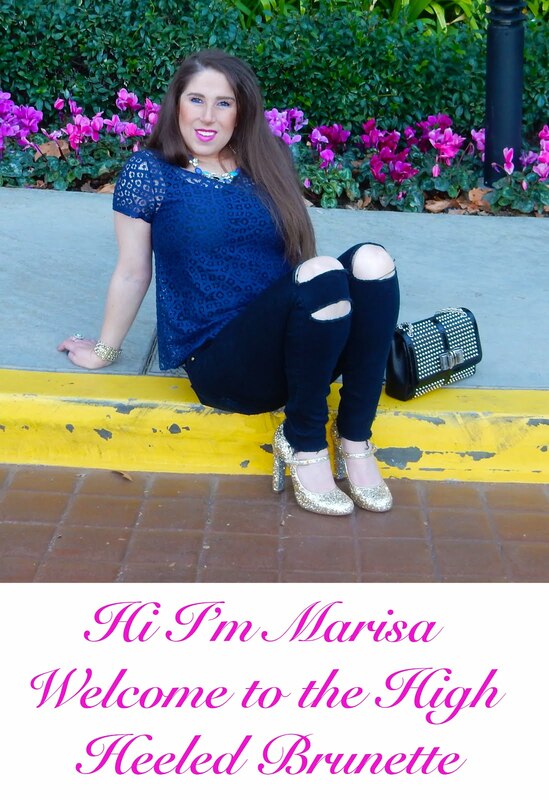 So I wanted to find a fun way to interact with other bloggers incorporating fashion help. Something to convey who we are. To show our style. To put our creative minds to work. To challenge us to step outside of the box. To express our inner fashionista. To show people the different ways to style an item depending on your body type & you." Want to see what the other ladies did with their shirt dress? Here are the links for the other Messy Girls who were a part of this month's Messy Project. Please let me know what you think about how I styled the shirt dress. I love feedback and comments!! Thank you! I like the skull shirt and the tied bow in the back. Rocker chic! I love the sneakers....I've been debating buying some! BTW, are you back in lala land yet??? Fun look!! 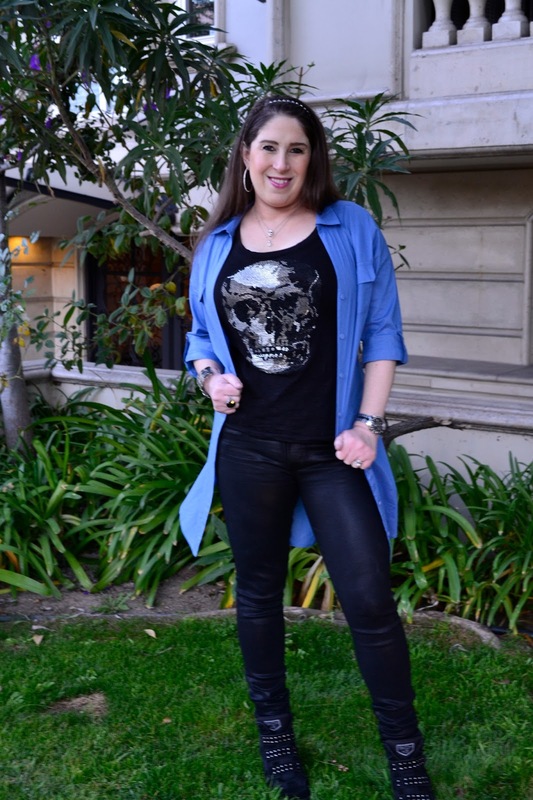 Love the skull shirt and shoes with it. I love that you left it open and tied it in the back! Very creative! I love how you tied it in the back! Super cute!